South metro blogger Bill Roehl recently made his way to the rural Dakota County outpost of Miesville for a Lazy Lightning reader meet-up where burgers were on the menu. This one is obviously hand-pattied and seems to be complete with plenty of fixings but in true bar fashion the lighting is obviously sub-par and the buns appear to be straight out of a Super-Valu package - not that there's anything wrong with that because the bun is just a wheat-based pair of tongs. Let me tell you, if you're into burgers *RUN* (I'm serious, go right now) to King's Place and chow down. 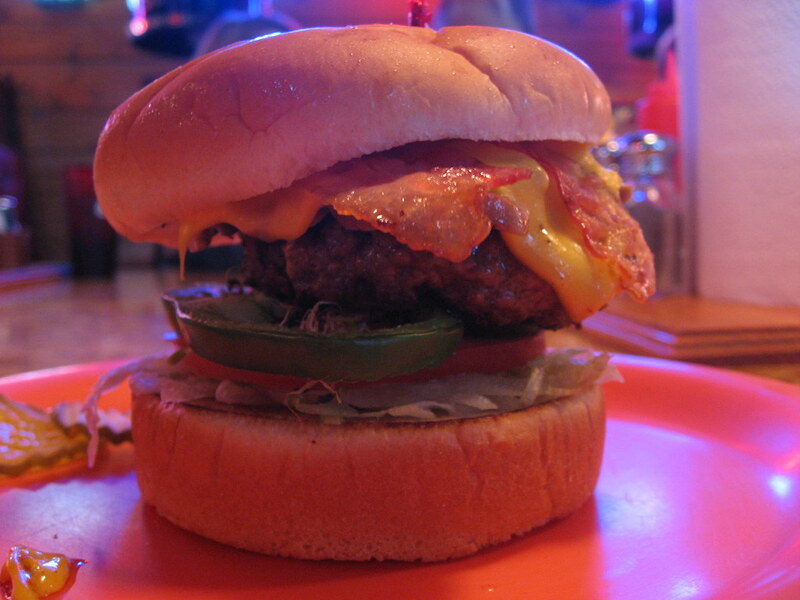 They have 30+ burgers on the menu, you will definitely find something that will suit you!